Tai Chi is a gentle Martial art that takes your body through its' full range of movement, keeping your joints supple and mobile without straining. Daily practice is believed to reduce stress, anxiety and fatigue, increase breathing capacity, lower blood pressure, improve balance and co-ordination and is recommended as an gentle exercise for those that suffer with chronic pain. 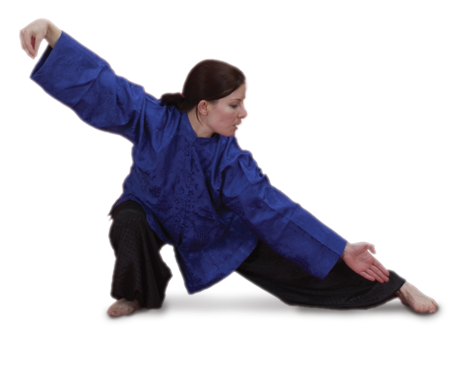 Training includes the Yang Chen Fu form, Chi Kung, partnered pushing hands, postural alignment and meditation. Tai Chi is also a very powerful Kung Fu art and you may continue if you wish into classes that teach the self defence and martial aspects with a 2 person form, advanced pushing hands, the fast form, sword and spear forms. Tai Chi Chuan is a form of exercise developed by the Chinese, but is more than just exercise, much more. Tai Chi Chuan is an internal cultural art and is the Chinese path to mental, physical and spiritual fitness. The art of Tai Chi Chuan originated about 500 A.D. and people from all walks of life have practiced it to promote their health and inner tranquillity. Traditional Chinese doctors have believed for several millennia that illnesses occur when the internal energy of your body, which they call Chi, is weak, unbalanced or failing to flow correctly. They believe that Tai Chi training with its' gentle fluid movements make it a perfect form of exercise for everyone, with emphasis placed on mental and physical alignment training rather than on physical strength. Before joining our club we offer an introductory course or trial lesson to help you make the decision and answer any questions. The classes are taught in a relaxed, friendly atmosphere by accomplished instructors. Although the instruction is in groups it is understood that each individual progresses at their own pace. There are no grades or 'external' recognitions - Tai Chi is an internal art. Some classes will be very 'instruction' based, whereas others will be 'practice' based. The usual format consists of Chi Kung first, followed by form practice and finishing with pushing hands or posture/meditation training - although a whole lesson may be devoted to any one of these! A series of gentle movements with visualisations and breath work. Chi Kung is a self-diagnosis system making use of the natural healing resources in all of us taking our bodies through their full range of motion. Learning to hold a posture, with correct alignment and not tension, takes a lot of practice. Using concepts found within Yin Yang philosophy the various postures are designed to integrate and balance body, mind and breath. This provides the foundation for training and develops body awareness, co-ordination and control. When most people think of Tai Chi, this is what they visualise. The postures are sequenced together into a smooth, gentle flowing form. 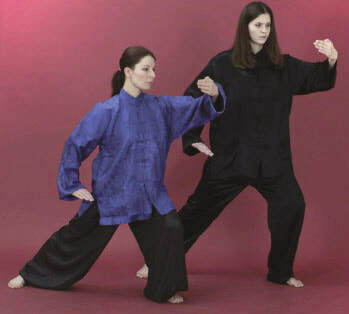 The various Tai Chi schools have their own Forms which are the signature of each style. 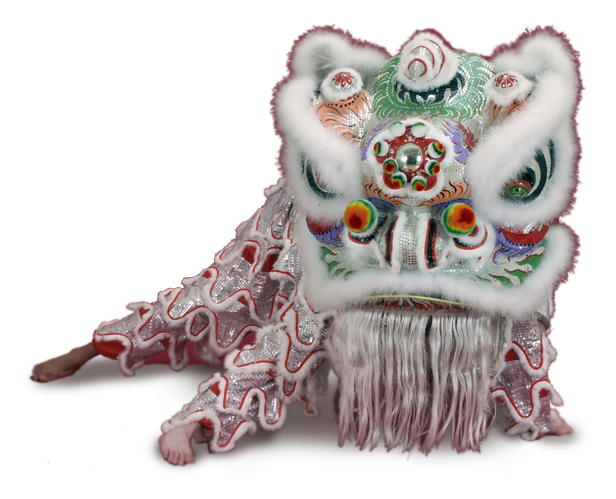 The Yang family form, as created by Yang Chen Fu, is our main study and we examine the various levels associated with it. To fully understand oneself, one must be able to understand oneself in relation to others. 'Pushing hands' is the partner training in Tai Chi, where we attempt to harmonise our movements with another and learn to 'feel' their energy and intention. Our partners help us to examine our postures, release our tension and look deeper into ourselves. Pushing hands demonstrates the dynamics of yin and yang.